First off, you may be wondering, wtf is Bike Fancy? Columbus Bike Fancy is a blog loosely based on the blog out of Chicago of the same name that focused on stylish folks on bikes. 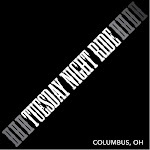 Here in Columbus though, we focus more on the beauty of the bicycle rather than the rider's style of clothing. Several entries of the Columbus edition were published waaaay back in 2012 by yours truly. You can check out my welcome synopsis back then HERE. If Letitia Cetina looks familiar, perhaps that's because she is familiar. If you're into books or bikes, that is. 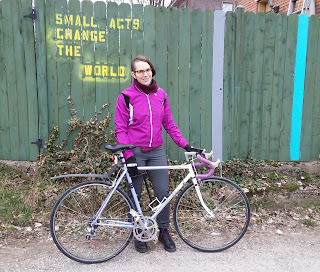 This former Columbus Metropolitan library staffer (she was often stationed in that cute little bookmobile in the OSU Campus area Kroger parking lot during nearby library construction) recently changed community-based careers and is now the general shop manager at Franklinton Cycleworks bicycle co-op on West Broad st. You may even find your own personal bike fancy at FCW, which is open to the general public for sales of used bikes and new or used parts as well as shop space where you can work on your own bike. Letitia is a steadfast attendant every second and fourth Thursday of the month a Womyn/Trans/Femme shop night takes place from 6-8:30pm. Anyone who identifies themself within those categories is welcome. What kind of bike are you riding? Where did you get it? I'm riding a 1980s Miyata 712, with a beautiful white to lavender fade. I got it on ebay, it was local pick up only in Toledo, and a friend of a friend picked it up for me for the cost of a tank of gas. It was in really good shape and looked like it hadn't been ridden in years. Does he, she or they have a name? It's name is Felix. I'm not sure about giving inanimate objects a gender. 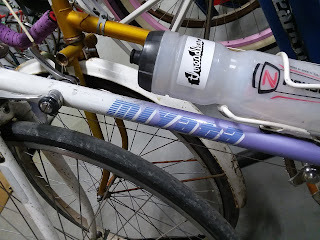 My other bike's name is Fidelis. Lucky and faithful! What more could you need? 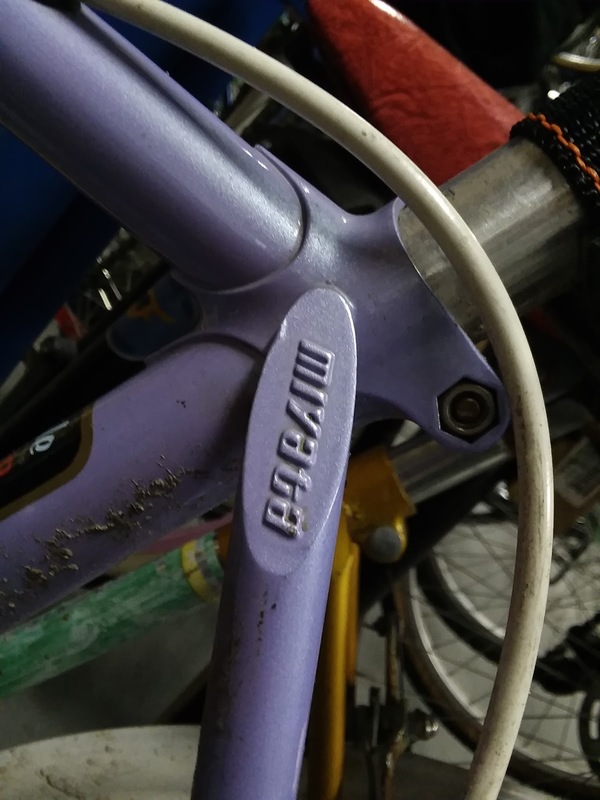 Though it might be hard to find more Latin names starting with F, if I want to continue the pattern when I get another bike. Where do you ride? What’s your favorite route? I ride mostly for transportation with occasional recreation rides. Right now I'm commuting to work and school, as well as riding around to get to the movies, yoga class, meeting a friend, etc. What’s the most exotic/interesting/strange ride you’ve experienced? On my way home from a Halloween party, racing a friend up High Street both in full Vulcan costume. 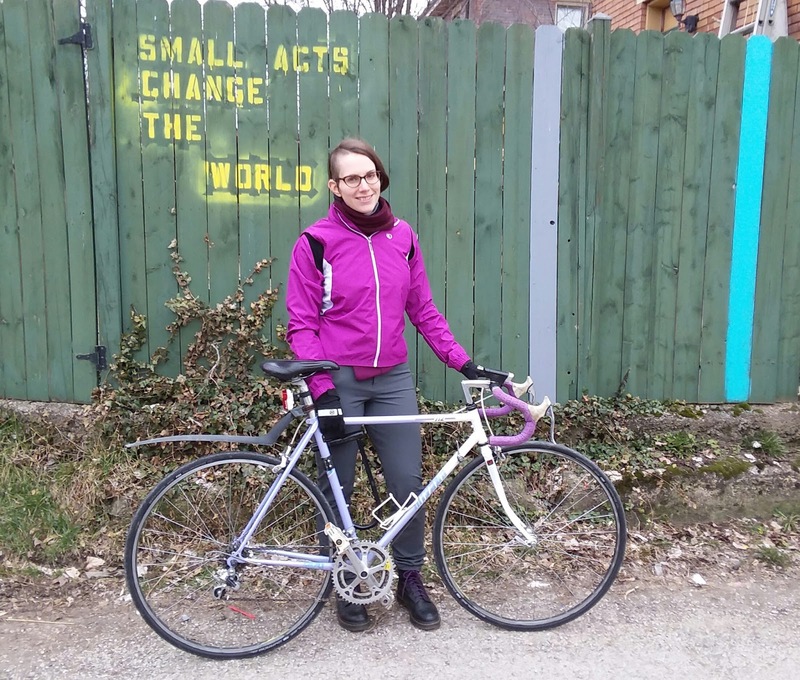 What does Columbus NEED in reference to bikes, in your opinion? I'm lucky enough to live, work, and socialize in the city so I'm a big fan of the newish bike lanes on Summit/3rd and 4th, particularly the lane on the 3rd St overpass that goes into downtown. I would like to see them extended farther north and south, and then an equivalent added for east/west travel. Come visit me at Franklinton Cycle Works!